Reedy Lagoon is exploring for lithium in the United States of America. The identification of increasing demand for lithium, and the prospect of emerging new processing technologies for extracting lithium from brines, led to Reedy Lagoon developing projects in Nevada, USA. 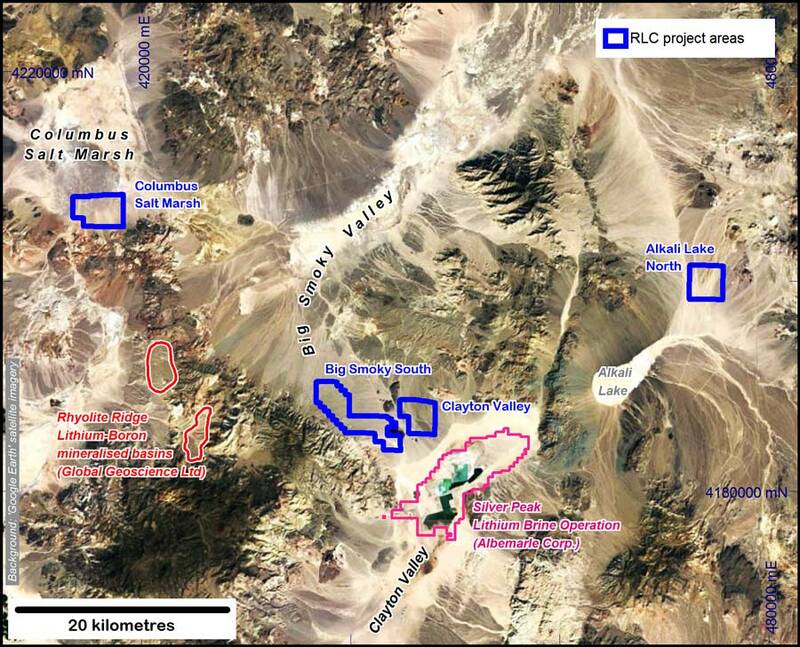 At 30 June 2018 the Company held 4 project areas located in Nevada where it is exploring for lithium. The project areas are in closed geological basins which share similar geology with Clayton Valley in which North America's only lithium producing brine operation is located (Silver Peak). The four projects cover a combined area of 5,164 hectares (12,762 acres) under 652 placer claims. All the placer claims are 100% owned and there are no royalty arrangements. Additional lithium projects are being assessed. Should potential for commercial extraction be proven by future drilling at any of the Company's projects, then it is possible that production could be achievable in 2022 (extensive environmental studies which would underpin any feasibility study generally take at least 2 years and process plant construction could take about a year). The Company's development plan would ideally include fast tracking one of the projects into production. Sequential and optimised development of production by replication at the other projects could then follow in order to maximise shareholder value. Reedy Lagoon's projects are all located within 50 kilometres of the Silver Peak Lithium brine operation owned by Albemarle Corp. which is located 360 kilometres by road (US-95 route) from the Tesla Gigafactory (Lithium-ion batteries) in Reno. Reedy Lagoon continually seeks and assesses new lithium brine projects. The company also has projects targeting iron-ore in Western Australia and uranium in South Australia. These projects are secondary to the prime focus which is lithium.